Russia is built and managed pursuant to the laws and logic of a large vertically integrated corporation on the top of which are Chekists and their "oligarchic projects". Political loyalty became the main criterion of business assessment. Russia is seeking to get to the top of the antiglobalist movement on a global scale. The most important element of this policy is anti-Americanism. Apart from geopolitics, there is economics or, simply put, business at its core. When considering any aspect of Russian politics, you should always bear in mind that Russia is built and managed pursuant to the laws and logic of a large vertically integrated corporation. If you ignore this factor, you will find it impossible to understand neither its international nor domestic and social policies. It is under this angle that you should look at "overcoming the supremacy and dominance of oligarchs" for which the incumbent authorities give themselves credit and which they use as an inexhaustible source of legitimization among voters. Voters, for their part, see the vestiges of Soviet "social justice" and "fight against Socialist property theft" in this "fight against oligarchs". As a result of privatization in Russia, financial groups were formed at first, later followed by industrial and financial (including media) and other business groups based on nothing else but financial capital. Its globalist essence is well known since the times of Karl Marx and Adam Smith, that is that capital has neither fatherland nor limits. Having broken the bone of the ineffective Soviet Socialist planned economy and squeezed "red directors" out of their chairs (by restructuring and liquidating non-core assets), financial oligarchs moved into power. Along the way they created and built corruption mechanisms to which they fell victims in a short while. Understanding that their financial and organizational (managerial) capacities are limited, they, unlike countries which really strived for European integration, did not allow either big banks or foreign insurance companies to Russian platforms. The introduction of internationally accepted principles of business regulations and financial accounting was slow and with much pain and misery. Market mechanisms in land ownership and use were not introduced. The "floating" exchange rate of the national currency was kept in the interests of speculative capital. No mechanism of transparent bankruptcy was put in place. Judicial and legal reform was never really started, being limited to constitutional declarations and the Civil Code whose liberal content was emasculated by judicial practice and various bylaws. From this point of view, it is impossible to take seriously loud shouts about the alleged dominance of the liberals in the 1990s. Or statements by Russian and pro-Russian foreign experts about Russia being ready to join the EU and NATO. The level of this readiness should be seen as being on a par with that of Gabon and Liberia, for example. Having a clear idea of the intellectual level of the elite of Russian special services, the author of these lines never had any trust that the "perestroika" operation with its current consequences and results was designed and carried out by them. Current siloviki in power got consolidated from 1996 to 1998 and, in fact, carried out a hostile takeover of power under, which was hardly covered by a formally democratic veil. In 1990-2000, they finally understood that their institutions (and therefore the prospects of their corporate dominance) are at risk from "red directors" with their ineffective and non-core assets. "Oligarchs" with their own hands paved the way to power for representatives of special services by actively involving them not only in companies' security departments but also in to management. The rest was just a mere formality. Thus, the Cheka and "oligarchic projects" replaced "oligarchs and their "Cheka proteges" in power offices. Pretending to be saving the country from disintegration, they suppressed and destroyed Ichkeria in the most ruthless way. 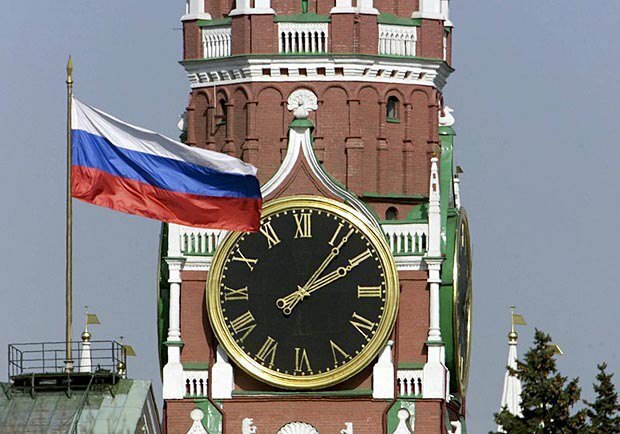 Thus the Kremlin started to do the only thing it could do and what it always wanted to: manage financial flows and interregional and interclan conflicts. This is how they imagine state administration. By implementing this function of the criminal authority, the authorities were looking for, pardon the repetition, the basis of their authority and their legitimization. Corruption of unprecedented scale and volume, which penetrated the society from top to bottom, is just one, and not the most important, manifestation and, mathematically speaking, function of these authorities. The majority of experts, including in the West, see corruption as a moral and ethical problem. 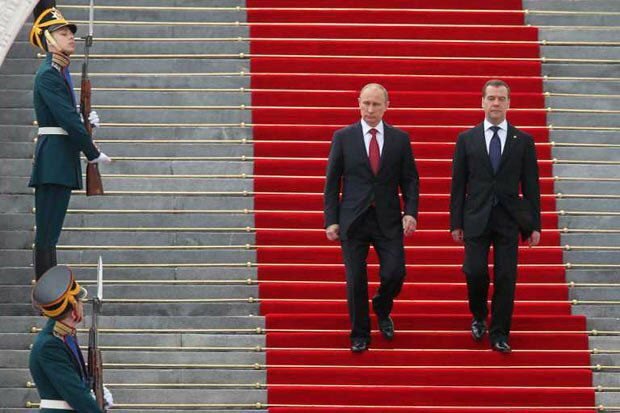 In the meantime, we should remember that in Russia, corruption is not just a way of enrichment for some officials but a factor essential to the formation of the system and elite. This can be seen in the monetary and currency policy. First of all, revenues of the state budget and the "elite", which uses funds practically without any control as far as mechanisms of public control are concerned, are formed as a result of sale of energy carriers in foreign currency (US dollars and euros). While various "internal" expenses are made in roubles. The population is also paid in roubles while its expenses are formed in foreign currency – either directly through the purchase of imported goods or indirectly when they pay for spares and ingredients making part of absolutely all technological chains. The authorities are confident that they guarantee the unity of the country by redistributing financial resources among the regions, the majority of which are subsidized and cannot pay the costs charged on local budgets by legislation. Considering that many regions, both donors (Tatarstan) and subsidized ones (North Caucasus), are multinational formations, if the centre stops distributing money, this can provoke centrifugal trends. Subsidising the depressed economic regions of Russia is, in fact, also a global form of corruption and bribery of regional elites. The depletion of financial revenues from the export of energy carriers can speed up Russia's disintegration. In other words, the unity of Russia and "all-nation support" for the authorities are based not on some mythical bonds, patriotism and universal love to the national leader, as staff TV propagandists and showmen like to say, but on purely corrupt mechanisms. This category also includes artificial employment of the population a large portion of which is excluded from the production of any values, thus being truants in facts. In addition to officials of all levels, these are servicemen, guards, law enforcers and uniformed agency members. There are also "workers" of the defence industry which, despite numerous statements on significant arms exports, cannot make up for its expenses. Corruption has become an integral part of international policy: numerous meetings, congresses of compatriots, culture programmes pull into their orbits the notable groups of Western European political players and intellectuals who feel affection for Russia and its special form of spirituality and charismatic leaders. Read: "There is such a job as protection from Russia"
However, the Russian political system manifests itself most vividly in its authoritarianism inside the country and in its striving for infinite expansion abroad by any, including forceful and knowingly criminal, means. But let us return to the formation of the economic foundation for the power vertical. In this area, everything developed along the lines of crime fiction. Colonels, who shed the influence and control of "oligarchic" corporations, divided these corporations into notionally useful (meaning controllable) legal entities, which were used to create financial flows subject to further administration. And into those which were deemed unfit for this role. Political loyalty became the main criterion of business assessment. Since the scope of the colonels' macroeconomic thinking was mostly limited to Lenin's thesis from the times of the New Economic Policy (NEP) on the need to maintain all command heights in economy, their entire policy was aimed installing control over them. At the initial stage, they had one command height, that is Gazprom and the respective infrastructure for the transport of energy carriers, which ensured gas monopoly of the state. Feeling averse to any projects requiring spending money on the infrastructure and processing of raw stuff, the authorities set a strategic goal of taking full control of the oil industry. 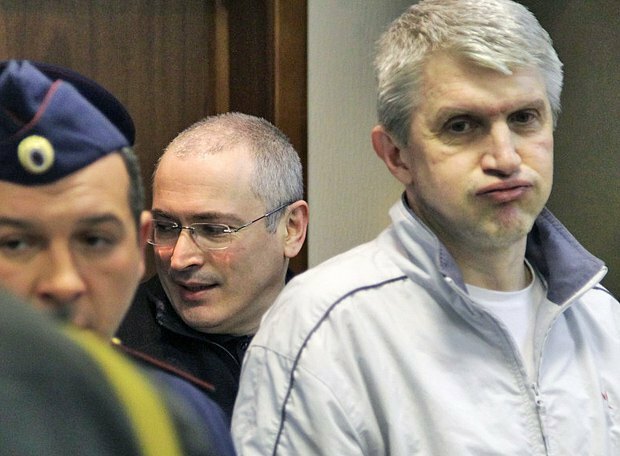 Their intention to show "who's the boss" resulted in the Yukos case. 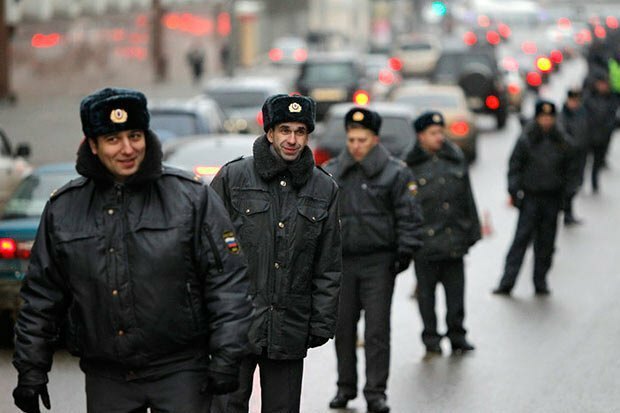 It is believed that the arrests of Mikhail Khodorkovskiy and Platon Lebedev and the repressions against some employees of this company which followed happened as a result of an entire set of factors, the most important of which were political ones. The author, who had worked for Yukos until 2002, has a vivid memory of the atmosphere of expectation of future political triumphs and breakthroughs. The company's expansion with Tomskneft, plans to build an oil pipeline to China, Khodorkovskiy's education initiatives, transfer to international management and accounting standards with the involvement of the world's leading audit companies as well as plans to hold an IPO abroad, collectively, played their role. But the colonels managed to get their own way: Yukos ceased to exist, its assets were incorporated into the clumsy state-owned Rosneft. Investment trust, as further developments showed, was lost for good. The owners and the entire population of the country got the message: money, assets and international reputation mean nothing unlike the only real resource, which is "power and proximity to it". The remaining office of Lukoil near the Turgenevskaya metro station in Moscow is an example how one can keep the company if he "behaves correctly". The next to fall victim to state monopolist ambitions was TNK-British Petroleum where Western management was replaced with Russians. As a result, the second part of the name lost any sense. They were followed by the joint-stock financial company Sistema. 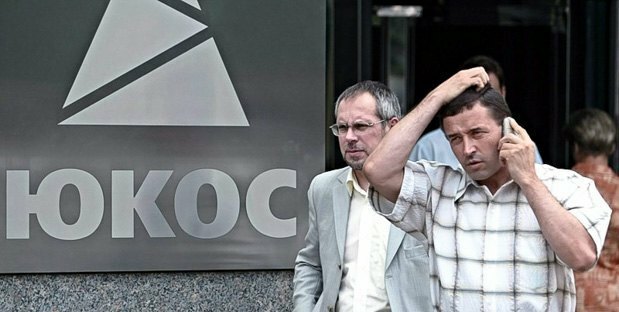 Perhaps, people in relevant offices set things straight for Vladimir Yevtushenkov, thus there was no need to put him in prison for long like they did in the the case of the Yukos head. Now we are witnessing the full seizure and monopolization of further "command heights" in economy. Licenses are being recalled in banking and finance while "banking readjustment" never stops. The power resources can make a dream of any corporation about monopolization and building a state monopoly system come true. One of its intrinsic systemic features is external expansion in the fight for markets and geopolitical might. However, the year marking the millennium of the 1917 revolution allows us to predict an outcome of current events taking place in Russia and a vector of its future development.